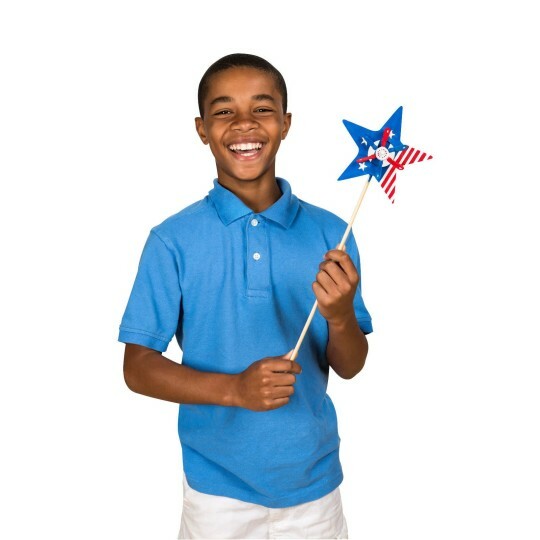 Kids will love adding their personal patriotic flair to star-shaped, wood pinwheels! Basic assembly required. Decorating supplies sold separately. 6”W x 19”H.